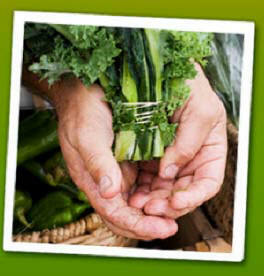 Our mission is to be the premier provider of fresh fruits and vegetables to the customers we serve. We will achieve our mission by providing produce that meets the highest standards of quality, service that exceeds customer expectations, and an operation that is exceptional in its attention to every detail. We will do all of this with one simple standard ... the only produce that will leave our facility will be produce we would feed our families. At B. Catalani, we strive to provide superior customer service to those clients who have placed their trust in us. We invest regularly in the infrastructure required to provide the customer service our clients deserve. We have state-of-the-art equipment to manage the loading process in our warehouse, and depend on our satellite tracking system in all our trucks to help ensure on-time deliveries. We have an unwavering commitment to deliver the level of customer service our clients expect. It’s all a part of our effort to be the premier provider of fresh fruits and vegetables to the customers we serve. Copyright 2009-2010 B. Catalani Produce All rights reserved.